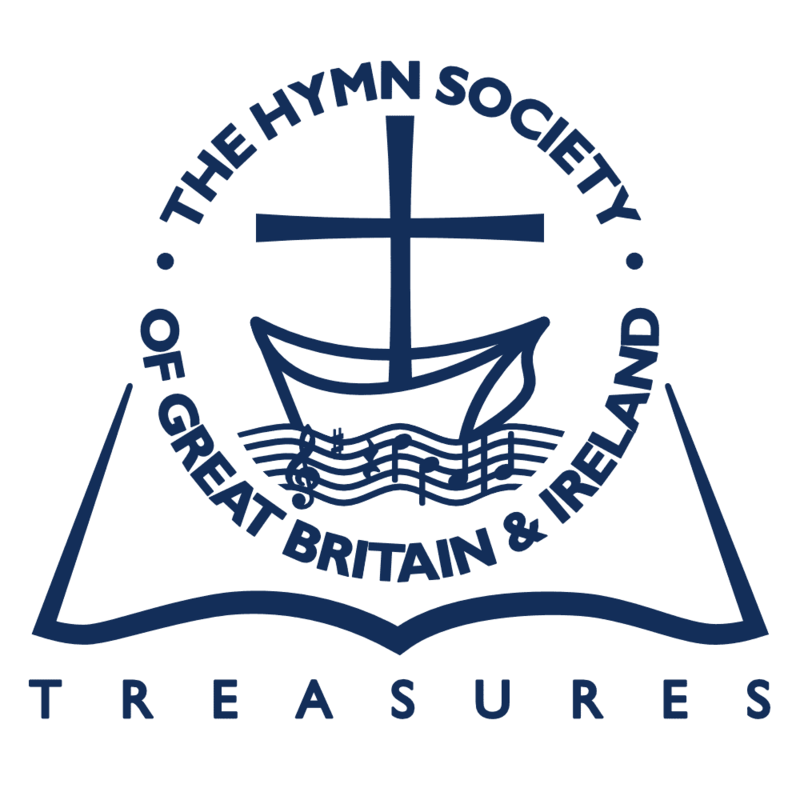 No Hymn Book of modern times has attracted greater attention than Songs of Praise; not least significant is the prominence given to it by the B.B.C. At the same time, no hymn book has been more severely criticized. The Bishop of Chelmsford, in particular, has laid himself out to ban it, as far as a bishop may, from his diocese. Notwithstanding this, the publishers state that the sale of the book continues to grow. It is quite plain that this hymn book, whatever its demerits, has an enthusiastic body of supporters. If the Bishop of Chelmsford deplores it, there are some of his brethren who take at least as strong a view on the other side. The criticism is twofold: on doctrinal grounds, that it is a humanist book, deficient in its recognition of sin and atonement; and on literary grounds. What are the facts? I am probably in a better position than most people to know the full story, for I have been for many years associated with the Editors—Dearmer, Vaughan Williams, and Martin Shaw, in compiling books for schools, closely associated with Songs of Praise. I was not one of the editors of Songs of Praise itself: but I was in the inner council of the editors, and generally at their meetings. I bore no responsibility for the final text of the words—that was Dearmer’s; but he constantly consulted me, even when he went his own way. Moreover, I am in the closest connection with the publishers and all concerned; and there is not much said or written about Songs of Praise which does not come my way. Nor am I without practical experience. Songs of Praise was used in the church of which I was for many years incumbent; and I know how it works out in a parish church. I am now at a Cathedral; and I know the detailed criticisms of my fellow-canons when it was suggested for adoption here. I mention all this only to show that I am not speaking without special knowledge. On the whole, it is untrue that Songs of Praise sets out to dilute the Christian doctrines; indeed, the truth is exactly the opposite. It was strongly felt that the original Songs of Praise (1925) was deficient in the confession of sin; and in the Enlarged Edition this was made much more prominent. Moreover, no hymn book provides as fully for the seasons of the Church’s Year. This omission was not made to weaken the doctrine of the Cross; for that doctrine is fully expressed in other lines of the hymn, ‘Who died to save us all’; ‘Saved by his precious blood.’. The reason for the omission was that the verse is a quite unworthy description of the Atonement. ‘There was no other good enough,’ is surely inadequate; and there is no ‘price of sin.’ There is a penalty of sin, and a price of redemption; but ‘the price of sin’ would only fit the gentleman who went up and down Europe peddling indulgences. Dearmer had a righteous passion for truth, and a wholesome hatred both of false doctrine and mawkish sentiment. It is true that he had his own weaknesses, too much love for what is ‘gay’ and ‘jolly’; but they were at least more wholesome. where Dearmer altered ‘blood’ to ‘love.’ Apart from doctrine, it is a stupid alteration, for it spoils the imagery. Dearmer had a strong conviction—probably not unjustified—that ‘blood’ theology has been very much overdone; but he carried it too far. It was almost an obsession with him. If he had lived to see the present war, he might have realized more deeply the inadequacy of humanism to meet the needs of men. Even if that were true, the reversion to such inferior lines would be hard to justify; but my friend challenges even the truth of it. In Conder’s edition of Star of the East (1824), the lines appear in the version familiar to us, with the exception of the singular instead of the plural; and my friend can find no evidence whatever of an earlier edition in 1821. A. and M. did not originate this feeble alteration, but was responsible for adopting it and making it familiar. In sacramental teaching generally, it is well known that Dearmer had swung round entirely in his later years. He tended more and more to regard the Communion as the Agape; ‘supper’ comes very prominently in his hymns, sometimes as a substitute for ‘sacrament.’ It is probably felt by many people that he overdid it; for they do not regard the communal meal as the main aspect of the Eucharist. At the same time, it is only fair to Dearmer to admit that he emphasized an aspect which has been somewhat ignored in hymns; and Songs of Praise is not deficient in other hymns expressing other and fuller aspects. ‘Thyself at thine own board make manifest. There is an amusing instance of Dearmer’s views, on another subject, in a hymn written by himself (S.P. 232). There is no question that St Peter was a married man; but really his wife plays no prominent part in the missionary story, and it seems unnecessary to drag her in. It will be plain that there are things in Songs of Praise which many regret, and which some people find more than regrettable. Yet, frankly admitting all, I do honestly feel that it is not just to call the hymn book, in its general outlook, unsound in doctrine. Both hymns and tunes, even the greatest, have been constantly modified by succeeding generations. The Rev. Canon G. W. Briggs, M.A. On the literary side, there has been some criticism because certain things are included, as from Shakespeare and Shelley, which are not hymns at all, or at any rate not hymns which any ordinary congregation would dream of singing. Dearmer’s idea, as he told me, was that people would like to play them over at home. This is all very well, if space does not matter; but most people are very practical, and want a hymn book for use in church. That is a comparatively small thing. A much more serious complaint is that certain familiar hymns have been altered, sometimes entirely garbled, sometimes by petty but irritating changes. It may not always be realized that changes may be back to the original version. For instance, in ‘All people that on earth do dwell,’ Kethe wrote the third line, ‘Him serve with mirth,’ which is in keeping with Psalm c. (‘Serve the Lord with gladness’); but subsequent editors altered to ‘Him serve with fear.’ Songs of Praise quite rightly restored the original. On one occasion Dearmer was adamant, even against common sense. In the familiar version of ‘Guide me, O thou great Redeemer’ there is a line ‘Feed me now and evermore.’ Dearmer insisted on putting ‘Feed me till I want no more’ as in English Hymnal. It would be difficult to prove that this is the original text; and as I. R. Darbyshire, now Archbishop of Cape Town, remarked at the time, it is capable of another interpretation! It was rare to find Dearmer without a keen sense of humour. But it cannot be denied that in many eases Songs of Praise has taken great liberties with original versions. It may be argued that words and music alike, especially by famous writers, ought to be taken as they stand; but Dearmer was quite right in his contention that such a position is not always tenable. Both hymns and tunes, even the greatest, have been constantly modified by succeeding generations. A notable instance is the hymn ‘Let saints on earth in concert sing.’ It departs very widely from Charles Wesley’s original version, which has not only been shortened, but so much altered that not half is the original Wesley. Yet the new version is generally accepted as a classic. Instances of other accepted changes could be multiplied. Charles Wesley did not write the opening line ‘Hark, the herald angels sing’; but who would discard it for that reason? In ‘Rock of Ages,’ Toplady wrote the line ‘When my eye-strings break in death’; but it has been altered by universal consent. Some great hymns, as for instance, ‘Lo, he comes with clouds descending’ have suffered amazing transformations. That great man, John Wesley, insisted that his hymns should be taken ‘just as they are, for better for worse.’ On the whole, he was right ; yet he himself altered Herbert, and slightly altered Watts; and other editors have been much more drastic. Dearmer’s fault, if any, is not so much that he did it, but that he overdid it, and not always happily. It is a risky business, which only success can justify. One outstanding example of re-writing is that of Bunyan’s Pilgrim Song ; though this did not originate with Songs of Praise, but with The English Hymnal. Since a famous critic like Mrs Meynell warmly approved the change, it may seem an impertinence for us lesser folk to criticize ; but there are a good many people who resent the alteration of Bunyan. may be strong meat, but it is strong. can hardly be considered on the same level. With many other hymns Dearmer took many more liberties. He had a curiously childlike faith that if people got something more or less like that to which they were accustomed, they would never notice the difference. The degree of his success was naturally variable; and criticism must inevitably fall on his failures. is not far from journalese. Nor was lie justified in mutilating the rhythm of Blackie’s ‘Angels holy’ to fit a special tune. These are only a few examples of many drastic changes. I make no comment on that. The verses following are better; but it shows the difficulties into which Dearmer’s method was bound at times to land him. I hope that I have not dealt too unkindly with an old friend, to whom, like many others, I owe so much. No man of our generation has done more to raise the standard of English hymnody; and Songs of Praise is his most notable achievement. Dr Millar Patrick wrote to me, ‘Shorn of its Dearmerisms the book would easily be the best in the language.’ I believe it is easily the best, in spite of its Dearmerisms. Naturally, in an article like this, I am compelled to deal mainly with the criticisms of the book; and I have tried to be perfectly honest. It would be a much more congenial task to describe the merits of the book. I have already said that no other hymn book affords such a selection for the seasons of the Church’s Year; and that can be said with equal truth of the general hymns. That a pair of scissors would be useful, as Dr Millar Patrick suggests, may not be denied; but the residue is larger, and of a higher standard, than in any other hymn book. It is not surprising that Songs of Praise has won its place; it has won it on its merits. Every hymn book is faced by one of two dangers. If it is the work of a single autocrat, it bears the mark of his personal mistakes, which a committee might check. If it is the work of a committee, especially a representative committee, it is full of compromises, to suit all tastes. There are not a few hymn books of repute which, for that very reason, are a combination of Worth and Woolworth. Whatever the faults of Songs of Praise, it has its standards. It does not descend to sentimental songs, as even The English Hymnal does, when it includes ‘Hark, hark my soul.’ Nor can one imagine Songs of Praise admitting, as The English Hymnal does, such a hymn as ‘Hold the fort, for I am coming.’ The inclusion of things like these can only be due to a desire to please everybody; and in pleasing everybody you are bound to lower your standard. Of the tunes there is little that I need say. People whose taste is for ‘sugar and spice and all that’s nice,’ will certainly not care for them; at any rate, not until their taste improves; but competent musicians everywhere will agree that they have set a new standard. There is only one criticism to be made. It does not always occur to musical editors that the suitability of a tune depends not only on its intrinsic merits, but on the number of verses to which it is to be sung. For instance, ‘Brightest and best’ is set, as in The English Hymnal, to that very great tune, LIEBSTER IMMANUEL, to be sung in slow time. It is a gorgeous tune, which one can sing at that slow pace once or twice with great enjoyment. It may even run to a third verse; but in the fourth and fifth such a tune is apt to become rather heavy going. But this is a small criticism of a very fine collection. There arc doubtless omitted some stirring tunes, even though not great classics, like LYDIA to ‘O for a thousand tongues’ and CWM RHONDDA to ‘Guide me, O thou great Redeemer’ which we should like to have seen included. But no book, however complete, can contain everything that is good; and no other book has such a collection of great tunes.